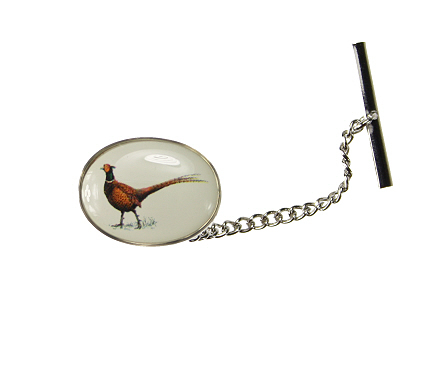 A pheasant tie pin with silver coloured fitments. Boxed. A stunning, flying pheasant motif cravat on a gold background made in the UK from pure English silk. A pair of cotton handkerchiefs with pheasant design in green and white, presented in a smart gift box.